Generally, you will not find Dolby Atmos App on Google Play Store. So, how to install Dolby Atmos on your Android device without root? Dolby Atmos is available in Samsung Galaxy S8 and S8 Plus flagships through an update of system software. Atmos is the latest addition to Dolby’s traditional surround sound in audio technology. The familiar 5.1 and 7.1 sound formats to which we are accustomed is further expanded. Besides adding surround sound to X and Y-axis, it also adds sound in the Z-axis of a 3D plane and also brings new variable height for sound. What is Dolby Atmos’ advantage? Why is it so effective and how? What are Dolby’s latest features? Do you need something special to get Dolby Atmos on your phone? Does your smartphone support Dolby Atmos? Dolby had always been a renowned company in home theater and cinema, and only recently it has made its advent in the world of mobile technology. Now the question that arises is, why do we need Dolby? Well, you can download it to know more about it. Actually, the music player we have on our phones is often not up to the mark and is a big hindrance in listening music according to our choice. That’s where the equalizer of Dolby spreads its magic. 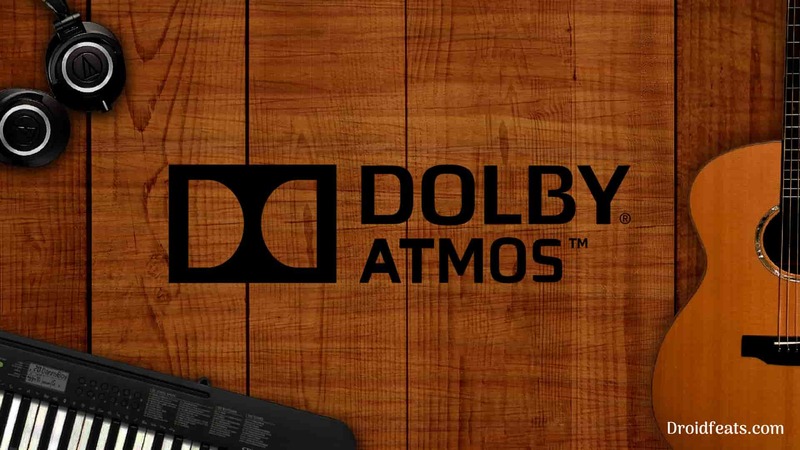 Dolby has already rated Atmos to be the best development after surround sound. In channel encoding, Dolby Atmos doesn’t believe in pre-mix to enhance the audio setup, instead what it does is to go for an object based path to save up data and that is blended just before the sound comes out of the speakers. Smartphones do not have the facility of multiple speakers. Android phones with front-facing speakers are still better when you use Dolby. However, you can experience the best kick-in over headphones because it’s specially designed as a software-based solution. In order to make you experience the surround sound system, the mobile version emulates the 3D audio effect. It uses the binaural audio technique to enhance the 3D sound effect. Well, the sound when it gets released from a particular source takes time to reach our ears. To elaborate, there is a slight difference in time when the sound actually reaches the person’s ears, and his/her brain detects it. A high-quality surround sound emulator sees that the multiple sound sources go through an interaction before finally making up to the ears for consideration. You do not need to make an online payment from your debit or credit card since it’s absolutely free. The user interface of the App is super friendly and simple for anyone to use it for the first time. Music equalizer is important for those who care about the nuances as well and not just hear it superficially. Dolby has a very well rated equalizer. The voice quality is comparatively higher when compared to other and is one of the well-suited ones for androids. Therefore, use it to feel the difference. Custom Recovery: Install TWRP here! Your device must be rooted. If not, check out this guide on how to root using Magisk. 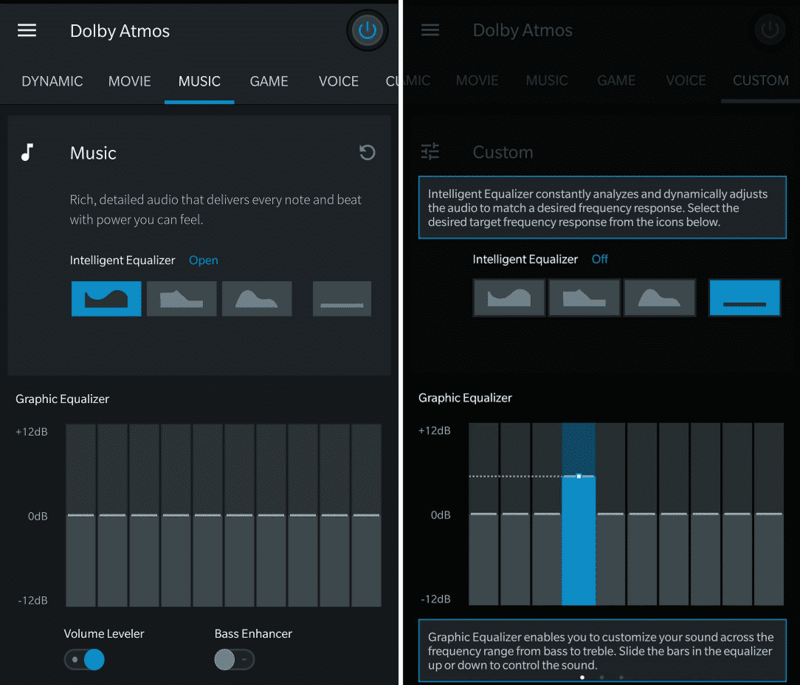 Added with a little bit of patience, you can have your own Dolby Atmos on your Android. But keep in mind, your device must be running Android 8.0 Oreo operating system. Recently, Samsung Galaxy S8 and S8 Plus also got support. A few other phones that support it in some format or the other are ZTE phones and HTC ones which have a Boom Sound feature in them. Go to the Setting option on your device and disable audio tuner (if any). Download Dolby Atmos Oreo flashable ZIP on your computer. Dolby Atmos has received mostly good reviews so far and has been in the very trend since its release. Without further talk, install it yourself and make the best use of it. So you are done with this tutorial! You had successfully installed Dolby Atmos on your Android device using our guide. If you faced any problem with performing this tutorial, please let us know by dropping a comment below. Our team will reply you back as soon as possible. At the top, you say the root is not needed. Then in the instructions, you mentioned phone must be rooted? Which is it? Your phone must be rooted to enable Dolby Atmos. But for some phones, like Galaxy S9, Dolby Atmos comes in-built. They don’t need root access. They just need to enable it from settings. Does it work in Android Pie ? 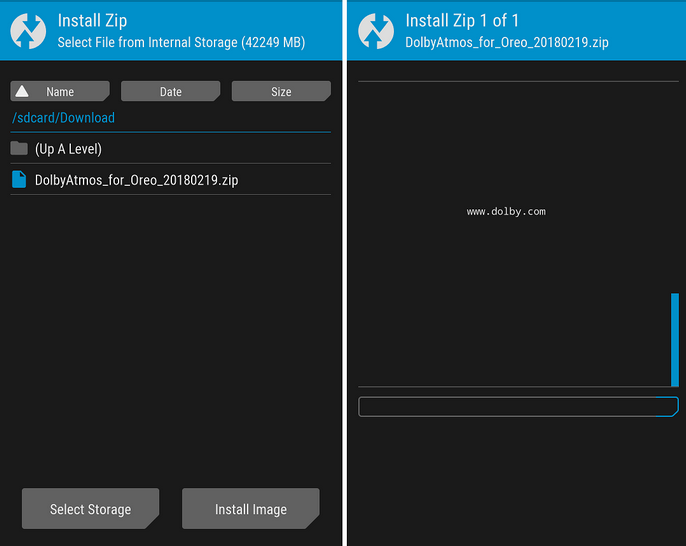 Under the heading “How to Install Dolby Atmos on any Android phone” you wrote “Download Dolby Atmos Oreo flashable ZIP on your computer” and also “Once you are in the TWRP recovery mode”. Is that file for any Android phone, any Android phone with Oreo, any Android phone with Oreo and below or any Android phone with Oreo and above? TWRP is not available for every Android phone. Please explain. You wrote “How to Install Dolby Atmos on any Android phone”. Before that you wrote “Your device must be rooted”. I do not think the word “ANY” means what you think it means. Any phone would mean every phone, but every phone cannot be rooted. For your kind information, any Android phone can be rooted easily using SuperSU or Magisk systemless root solution. So the word ANY is valid here! Can Dolby Atmos work well on Android 9 Pie?